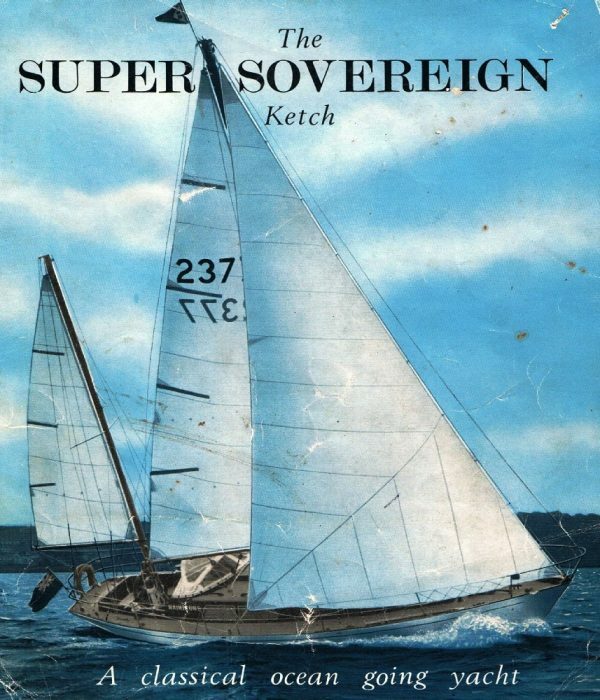 ALANAH of GIGHA, built in 1976 is one of 19 Super Sovereign 35 Masthead Ketch designs from the well respected West-Country boat builders J W & A Upham Ltd. Brixham. Kim Holman (1925-2006) needs little introduction as one of the most influential and leading yacht designers of the mid-twentieth century. 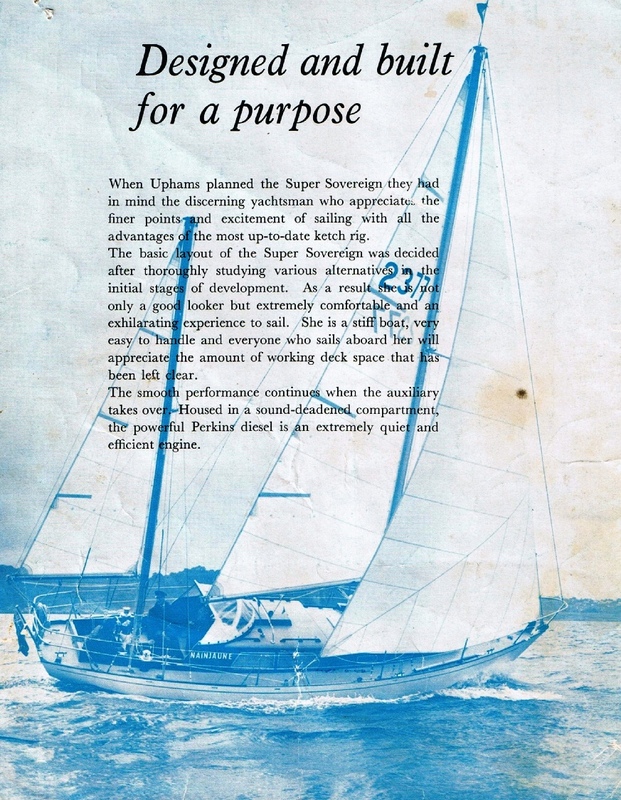 The Super Sovereign dates from 1969 the final example built in 1976, making ALANAH of GIGHA the last of her type. 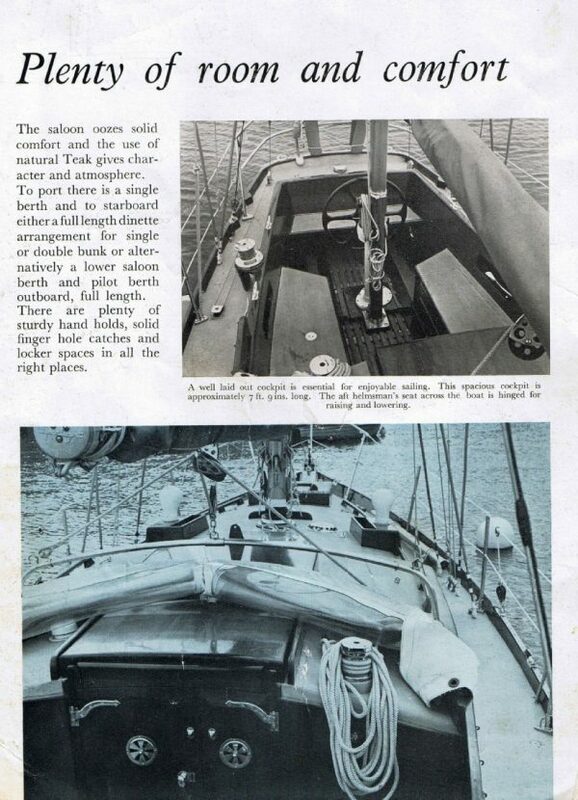 Later yachts were re-named the Barbican 35 under Holman & Pye. 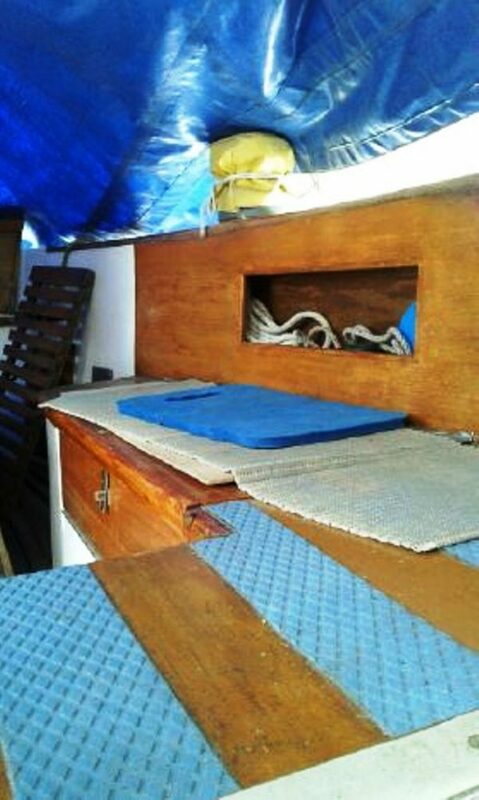 GRP moulded hull, epoxy finished. GRP decks and superstructure. 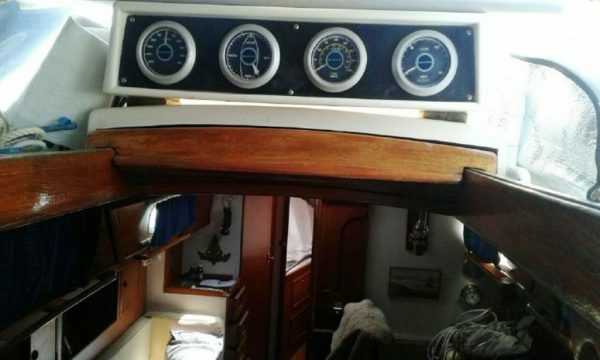 Long ballast keel 6,230lbs. Masthead ketch rig sets about 580 sq.ft plain sail. 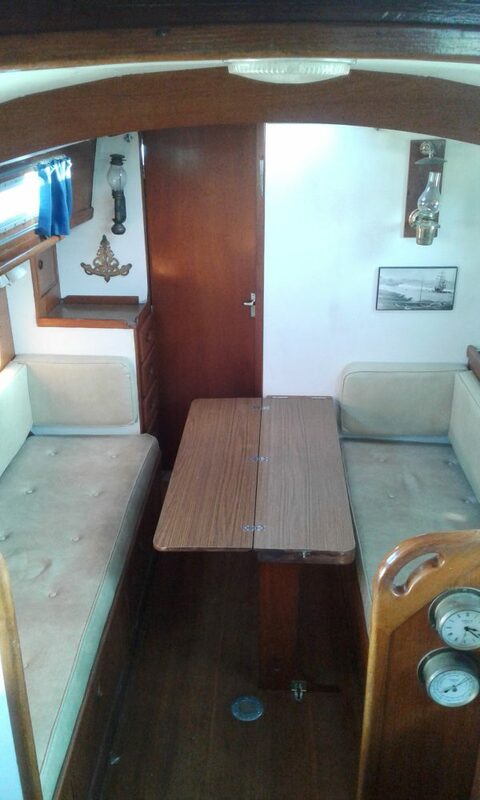 Accommodation for five in two cabins with original quality teak joinery with beige upholstery. 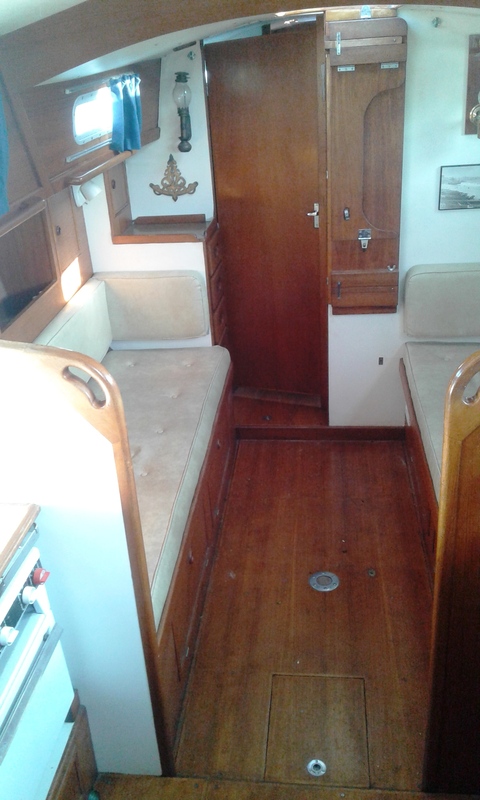 Fore cabin with two single berths. 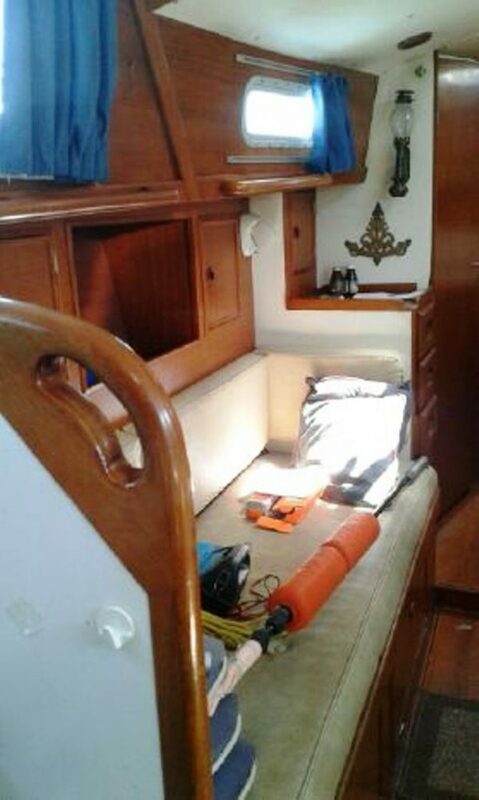 Heads compartment to starboard with marine wc and ceramic washbasin. 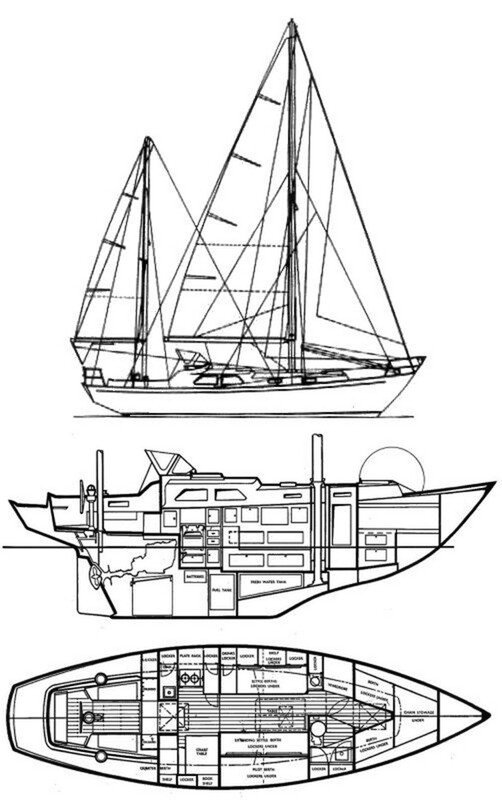 Sail and hanging locker to port. 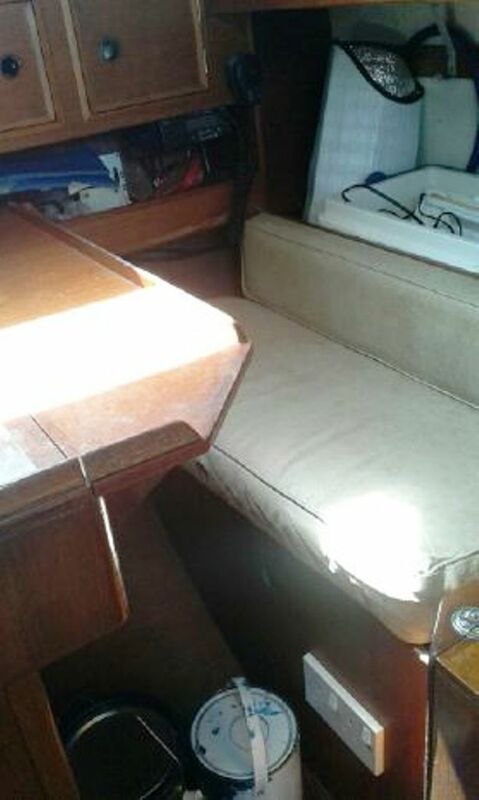 Saloon with three settee berths with fold-away saloon table. 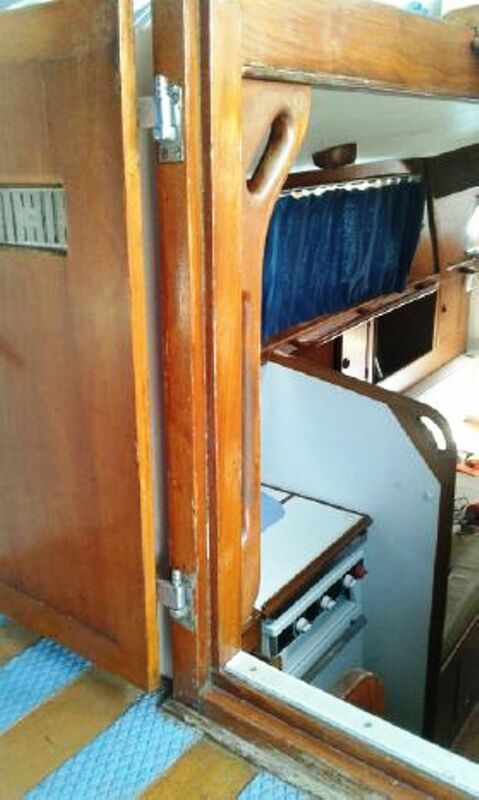 Extensive locker stowage. 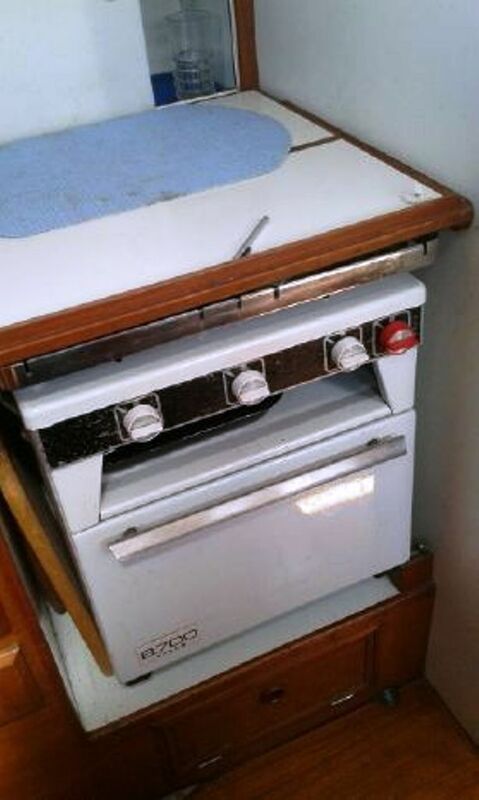 Galley to port with two burner gas cooker with oven and grill. 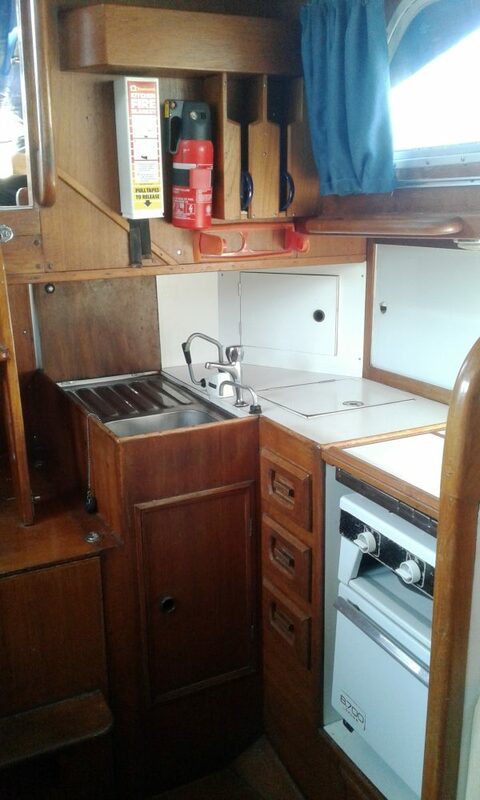 stainless steel sink unit with drainer having pantry lockers and drawers beneath. Insulated cool box. 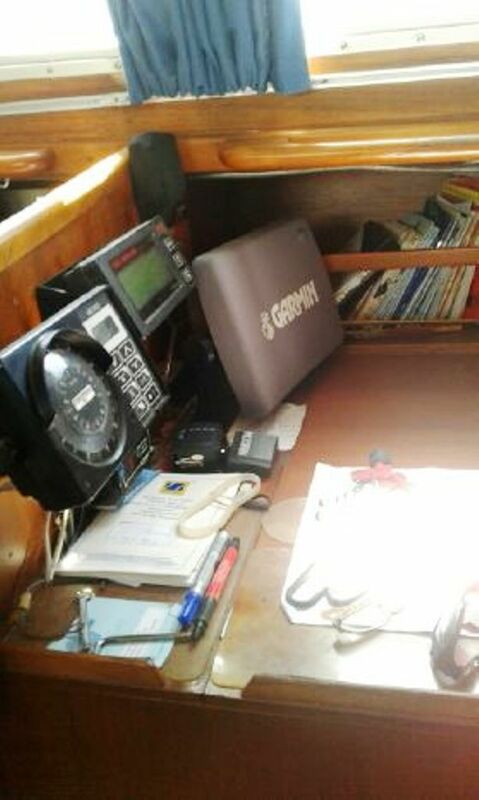 Large chart table and navigation area and desk. Bookshelves and lockers. Full headroom. 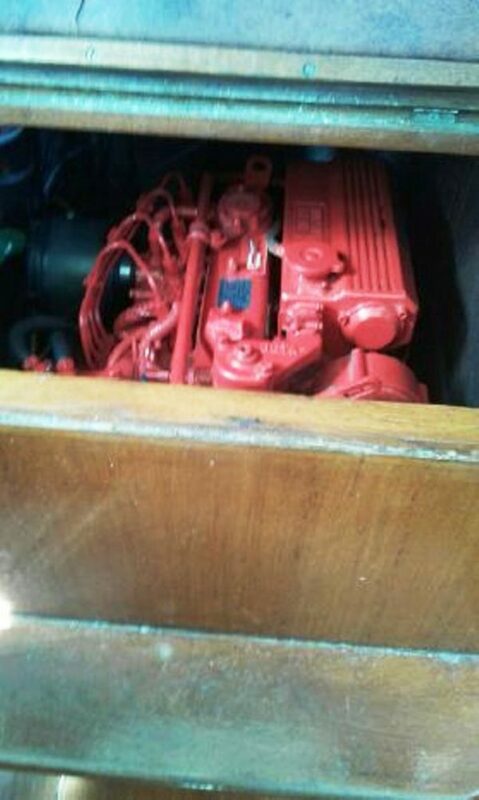 35hp BETA DIESEL ENGINE, fitted new 23.08.2012 with TMC 60 type gearbox driving a three-bladed bronze propeller with rope cutter. Three 12 volt batteries 75 amps (2015 & 2018) Battery charger. 240-volt shore power and cable. Two solar panels. Calorifier connections. 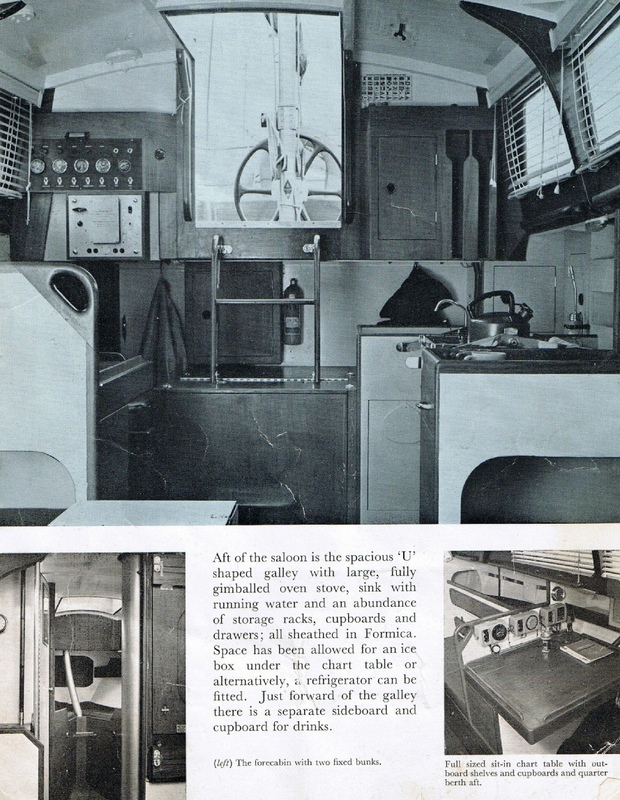 40-gallon fuel capacity in s/s tank. 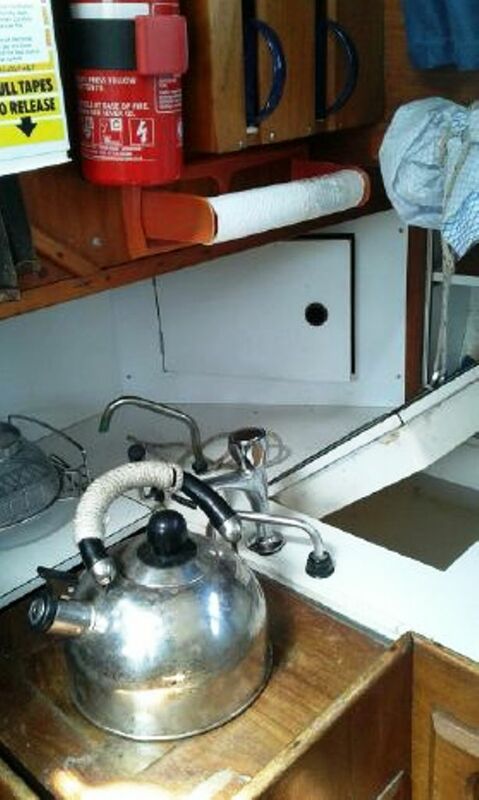 80 gallons fresh-water in three linked tanks, pressurised cold water, sea water tap and manual foot pump to the galley sink. 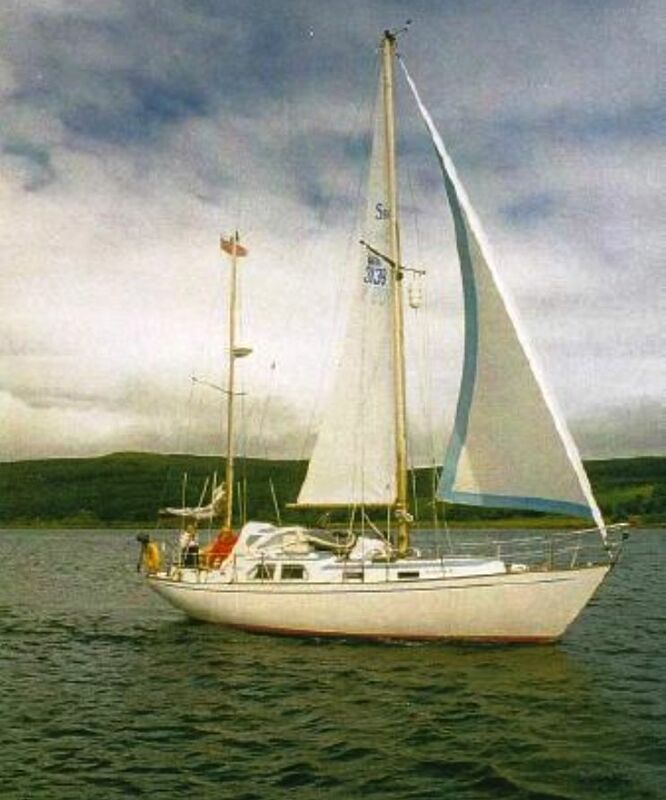 MASTHEAD KETCH RIG, Furling Rotastay headsail, Genoa, two slab reefing main sails, slab reefing mizzen, spinnaker and pole, mizzen staysail, mainsail and mizzen covers, two Lewmar self-tailing winches, two halyard winches and mainsheet winch. 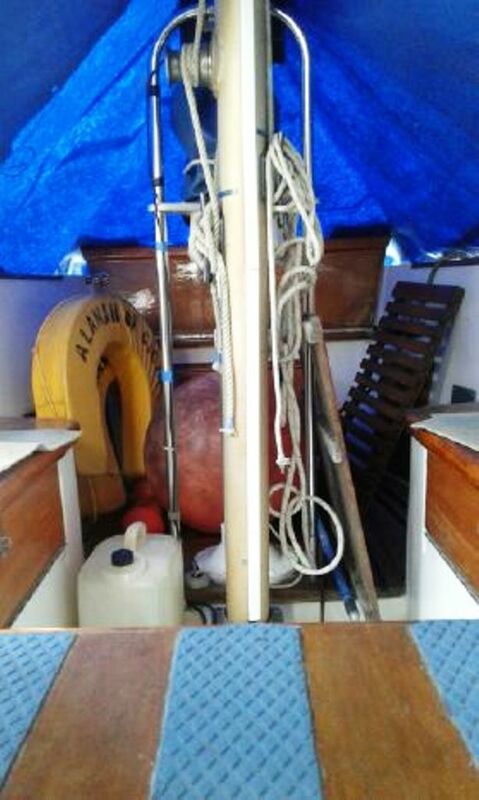 Standing rigging replaced circa 2000. An extremely well cared for example of this capable ocean-going cruising yacht, in long ownership. 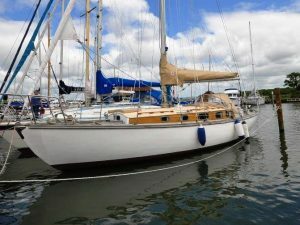 Extensively cruised from a popular French marina. 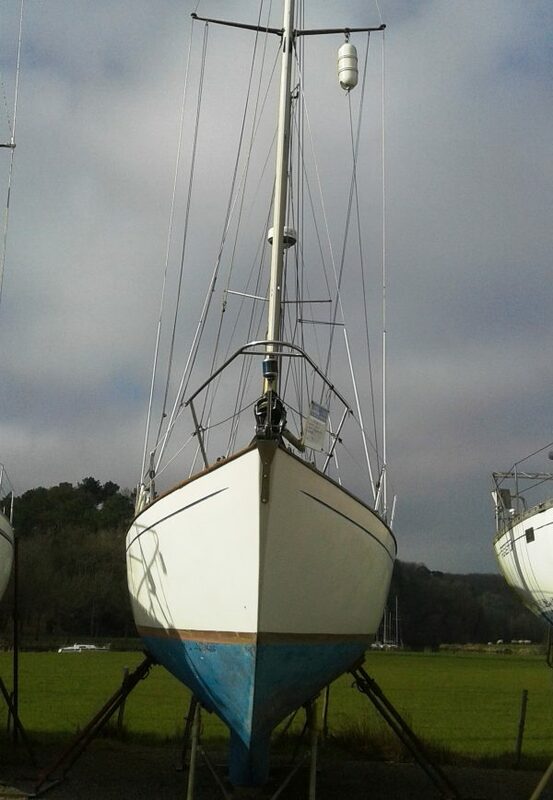 Owner supplied images, more to follow mid-February. Seriously for sale and sensibly priced. 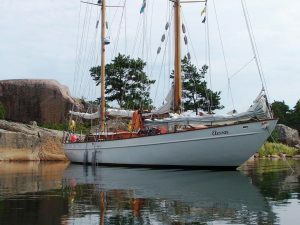 VIEWING: Through Classic Yacht Brokerage.